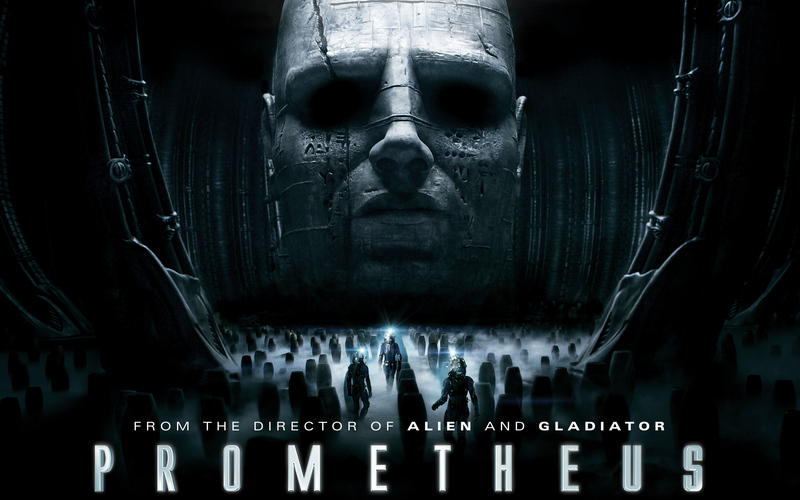 In My Humble Opinion: Prometheus was a an okay movie, but frankly I was expecting a little more from the director of Alien, Gladiator, and Blade Runner. The plot, was somewhat compelling…searching out those that created the human race naturally we would look to the stars right? What’s that you say? No? Yeah that was one aspect I had a hard time getting my head around too. Couldn’t it just have been the possible discovery of intelligent life on another planet? And…why did Guy Pearce’s character feel the need to decieve…anyone really? He’s financing the whole trip and lets people believe he died on earth some two years ago. Then he’s, SURPRISE still alive…to me this was supposed to be a “shocker” in the movie, but frankly I was underwhelmed. One more thing…this black ooze, that’s the best threat you can come up with….I mean The Blob already cornered the market on “scary” ooze if I remember correctly. Anyway, the biggest issue I had with the movie was the continuity between it and the original Alien. In this movie the expedition heads to LV-223, but in the movie Alien, the expedition heads to LV-426 (of course this isn’t established until the sequel Aliens came out…but you get the idea) Hopefully Ridley Scott did this intentionally with plans of a Prometheus sequel to take place on LV-426. I could see him actually making a trilogy out of this with the story line leading right up to when the Nostromo from the original Alien movie receives a transmission of unknown origin…neatly tieing all the movies together. Like I said, it wasn’t necessarily a bad movie, just wasn’t as good as I expected. Then again when director’s go back and try to jump-start a franchise that made him/her famous in the first place, does it ever live up to anyone’s expectations….Star Wars franchise anyone?